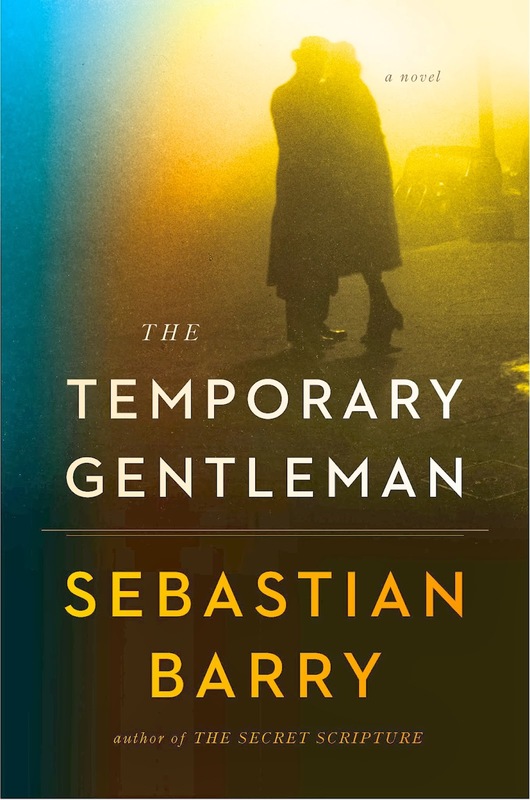 Sebastian Barry, whose archive resides at the Ransom Center, has written a new novel, The Temporary Gentleman, the latest of six distinct yet related books based on the characters and events of Barry’s own family. 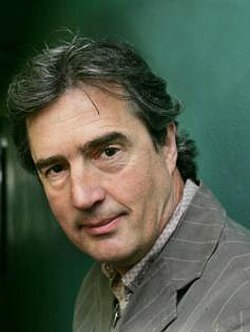 The Irish poet, novelist, and playwright is the author of the critically acclaimed play The Steward of Chirstendom (1995) and the novel A Long Long Way, which was a finalist for the 2005 Man Booker Prize. His first novel, Macker’s Garden, was published in 1982, two years before he attended the Iowa Writer’s Workshop as a Fellow at the International Writing Program. The Temporary Gentleman is written from the perspective of an Irishman living in Accra, Ghana, in 1957 as he urgently reflects on his life and work. The novel explores its narrator’s past serving in World War II, working as an engineer and UN observer, and struggling to maintain his marriage. Barry visited the Harry Ransom Center in 2006 to meet with archivists about his then-recently acquired papers. The collection includes drafts of the writer’s published and unpublished works as well as manuscripts, letters, and more. Sebastian Barry’s play The Steward of Christendom tells the story of Irishman Thomas Dunne, the former chief of the Dublin Metropolitan Police who is now confined to an asylum. He reminisces about his personal and professional life, going back and forth between lucidity and seeming incoherence. A Roman Catholic still loyal to the British crown, Dunne looks back at the consequences of that loyalty. 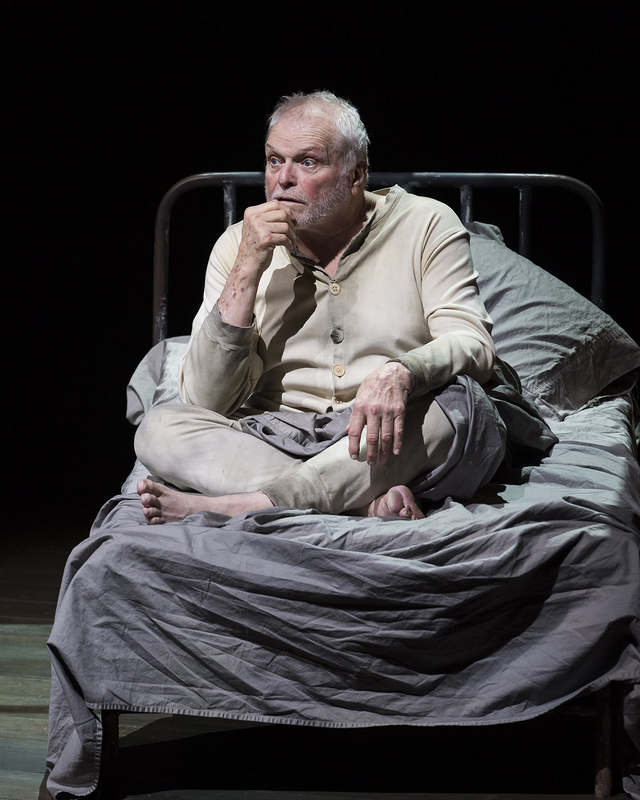 The play opens with a monologue by Dunne as he appears to be reliving a scene from his childhood, but that wasn’t always the opening monologue. 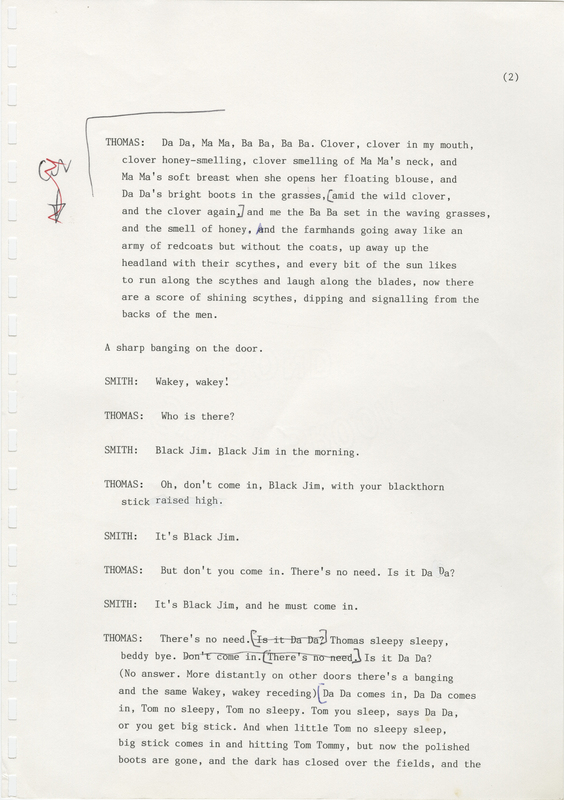 The first opening monologue was cut from the original production of the play due to transition challenges it presented for the actor. 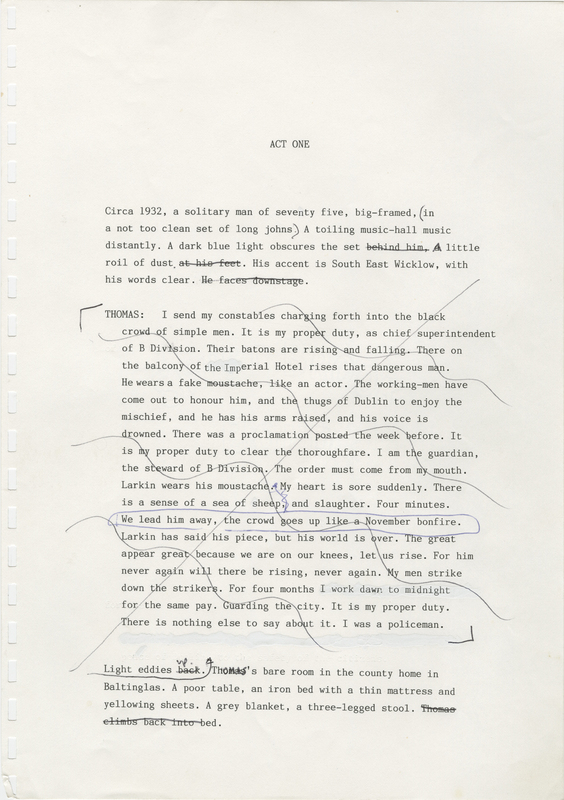 In a fall production of the play by the Mark Taper Forum in Los Angeles, the director drew upon the Sebastian Barry archive at the Ransom Center to re-integrate the deleted monologue back into the play. In the omitted speech, Dunne describes breaking up the famous 1913 labor protest at which Irish trade union leader James Larkin appeared to address a crowd of 20,000 striking transit workers who had been locked out by their employers. Director Steven Robman first read about the deleted monologue in an academic essay written by University of Texas at Austin English Professor Elizabeth Cullingford. The essay appeared in a compendium about Barry’s work called Out of History: Essays on the Writings of Sebastian Barry (Catholic University of America Press, 2006). 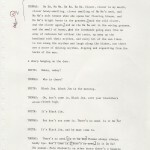 Robman asked Barry about the deleted monologue, and the playwright asked the Ransom Center to send scans of the original manuscript material to Los Angeles. Robman learned that the monologue was cut from the original version because the transition between the Larkin speech—intended as a sort of prologue—and the speech as he’s reliving a childhood memory felt too awkward for Donal McCann, the lead actor in the original production. 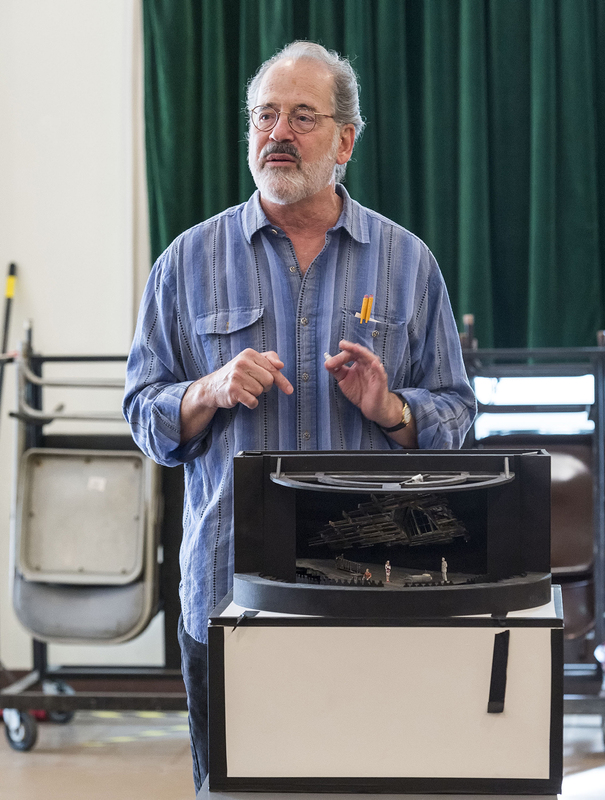 Robman also worked with the playwright to add a few words or substitute words throughout the script to allow an American audience to have an easier time with certain historical references or unfamiliar vocabulary, though the monologue is the largest change. 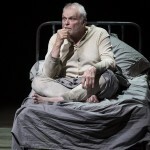 Actor Brian Dennehy portrays the character Thomas Dunne in the Mark Taper Forum’s production of Sebastian Barry’s play “The Steward of Christendom.” Photo by Craig Schwartz. 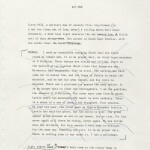 Typescript of “The Steward of Christendom” in the Sebastian Barry papers at the Ransom Center showing deleted monologue. 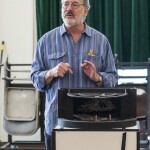 Photo of director Steven Robman by Craig Schwartz.